ARE YOU READY FOR THIS YEAR'S SUMMER U? 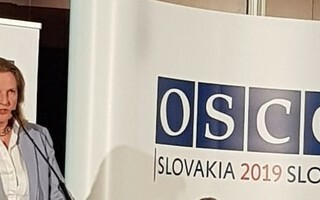 On the 24th Of November, during its General Assembly in Novi Sad, Serbia, the European Youth Forum has passed the motion, “Combating Antisemitism: Young people’s responsibility” and adopted the IHRA working definition of Antisemitism! Join us for EUJS' 40th Anniversary Gala on the 2nd of December in Brussels! Our alumni, partners, supporters and current student leaders are all part of the EUJS family! So whether you consider yourself an uncle, a distant cousin, a great-grandfather or mother, on the 2nd of December we'll all be together for the family reunion. 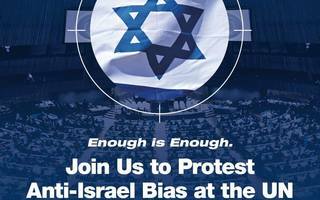 UN Rally - Enough is Enough! 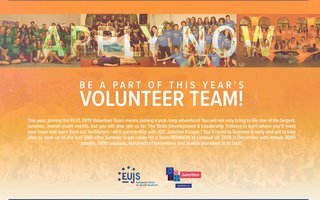 This year, joining the EUJS 2019 Volunteer Team means joining a year-long adventure!